Join us for the only 2019 Toastmasters conference in Hawaii. 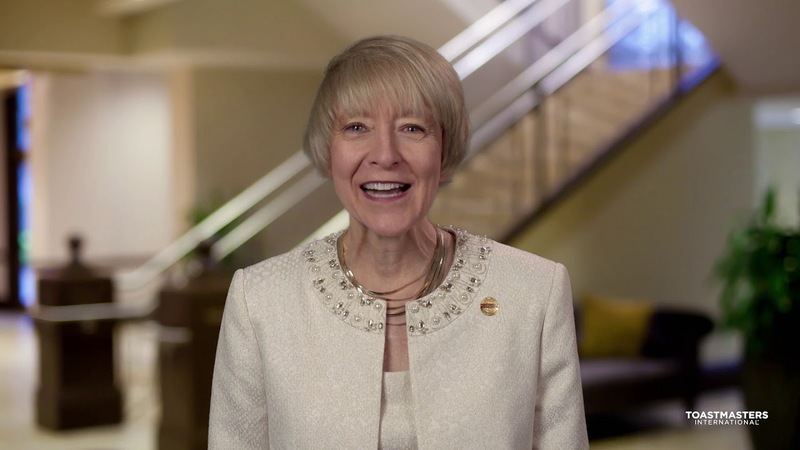 Joan Lewis is a member of the Board of Directors of Toastmasters International, the world’s leading organization devoted to communication and leadership skills development. Lewis was elected to the 2018–2020 two-year term at the organization’s 87th annual International Convention, held on August 22–25 in Chicago, Illinois. As a member of the Toastmasters International Board of Directors, Lewis is a “working ambassador” for the organization. She works with the Board to develop and support the policies and procedures that guide Toastmasters International in fulfilling its mission. Lewis has owned and operated her own business for 11 years, Lewis Lien Sales, a professional lien processing company licensed by the California State Department of Motor Vehicles. After gaining market share in what Lewis describes as a “male-dominated industry,” her company won an award for the best customer service in the city of Inglewood. She also garnered 30 years of paralegal experience in the non-profit and corporate environments. Lewis holds a bachelor of arts degree in sociology at Long Island University in Brooklyn, New York, and a paralegal certificate from El Camino College in Torrance, California. As a member of the National Association for the Advancement of Colored People (NAACP), she served on the Theater Awards committee, acting as both judge and mentor, and was the recipient of the 2016 NAACP Meritorious Woman Award for her years of mentoring youth in communication and leadership skills. Lewis also served as an associate pastor at Los Angeles Shabach Christian Church for 25 years. A Toastmaster for 17 years, Lewis is a member of her home club: Praisemasters in Los Angeles. She held a number of leadership positions within Toastmasters, including past Region Advisor for two different regions, where she worked with 14 district leaders focusing on strategic planning, marketing, conflict management and training. She has attained the Distinguished Toastmaster designation—the highest level of achievement in the organization. As a member of the Toastmasters International Board of Directors, Lewis is a “working ambassador” for the organization. She works with the Board to develop, support and modify the policies and procedures that guide Toastmasters International in fulfilling its mission. Companies spend over $14 billion on leadership development every year. Clearly, the need exists. However, do these programs really work? Toastmasters does. Toastmasters combines public speaking skills with leadership skills to enable you to achieve more than you ever thought possible. Why this organization is one of the best investments you can make. How to take full advantage of the opportunities Toastmasters offers. Why, if you let it, this organization can change your life. Johnny is a Keynote Speaker, Author and Founder of Rise-Up and Win International an organization that helps people turn their Personal Challenges into Breakthroughs & their Products and Services into Profits. Johnny gained his expertise in the insurance industry, where he worked as a corporate trainer and participated in leading hundreds of people through massive organizational changes. He is the past president of the National Speaker Association for the state of Illinois, and is an Accredited Speaker, a designation presented by Toastmasters International for excellence in public speaking. It is held by only 81 professional speakers in the world. Are the winds of change in today’s world an opportunity for success, or a source of annoyance? Many current leaders are struggling with how to navigate change while benefiting from it. When it comes to change, there are multiple challenges. Questions range from how will this change be perceived, to how will it be embraced. In this entertaining and informative program, you will discover how leaders can effectively implement and navigate people through the winds of change. Complete your personal roadmap on how to implement change. Learn to be more adaptive and responsive when personally dealing with change. Gain more confidence and resiliency when managing people in the midst of change. Greetings from International President Doley.